As interactive technologies touch on all aspects of modern life, research in this area needs to draw on the disciplines and methods of several fields including computer science, psychology and the social sciences. I place a strong emphasis on good research methods and, with my work, try to exemplify best practice in diverse methods as well as communicating to others what that best practice is. Dr Cairns is a Reader in Human-Computer Interaction (HCI) in the department of Computer Science. 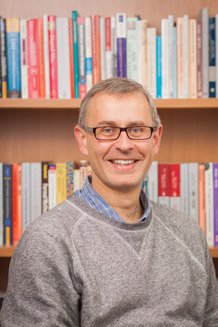 He has a strong track record in diverse research methods across domains of user experience, human error, statistics and mathematical modelling in HCI and is well-placed to develop the diversity of research approaches needed for the Centre to succeed. He co-edited the first book for research methods in HCI. He has extensive research student training experience having successful supervised 17 PhD students to completion, was co-I and developed the training programme for the EPSRC CDT in Intelligent Games and Games Intelligence and is currently Research Student Training Officer for his department. Working with the AbleGamers Charity, in this project we are investigating the social wellbeing of players with disabilities in relation to digital games, and what factors help and hinder social integration in digital games. As part of the IGGI Centre for Doctoral training I designed the formal training programme for the 4 year PhD programme and managed its implementation across three institutions. The aim CAD-GAME was to develop the next generation new tools for the testing, analysis and design of video games. In CAD-GAME I led the user-centred design of innovative data gathering and analysis tools for game designers. This platform grant was aimed at understanding the challenges in designing interfaces that allow users to explore, navigate and make sense of data. In this project I established new methods and models for capturing how users work with their data.